"Eating coals of fire has always been one of the sensational feats of the Fire Kings, as it is quite generally known that charcoal burns with an extremely intense heat." Please note that the above value is measured during pre-shipment inspections, the actual result may vary from time to time, due to climate and storage condition. 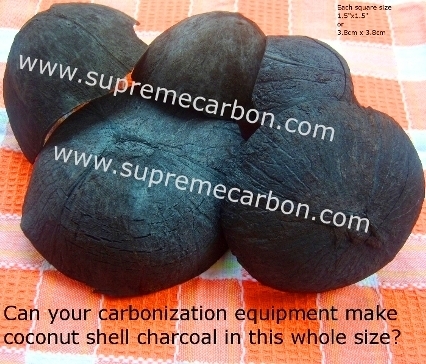 Interested in buying our coconut shell charcoal? Please send your inquiry here .